Logos, Logo Design, Business Identity, Organization Logos, Revamping Old Logos, Whimsical Logos, Cartoon Logos, and More! 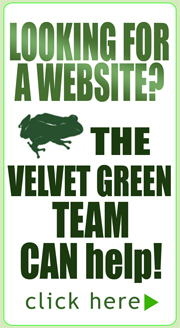 Logo Design, Logo Creation, Logo Redesign, Business Identity - Velvet Green Creations Logo Design can create a logo that works for your company. We build your logo to fit your needs. Clients receive the finished product in the formats most used by Ad Specialty Providers such as jpg, bmp, tif, psd, pdf, gif, and more. We size logos small and large, we also give the clients a full color and gray scale version of their logo design. We work with clients from around the world and help them with logo concepts, reviving old logos, brand identity, and what will truly stick in the minds of consumers. Its what we love and enjoy. Payments are easy and can be arranged through PayPal with all major credit cards. Logo Design starts at $550 - depending on your needs. 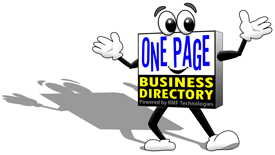 Clients receive an email version to get them jumpstarted and a disk in the mail. 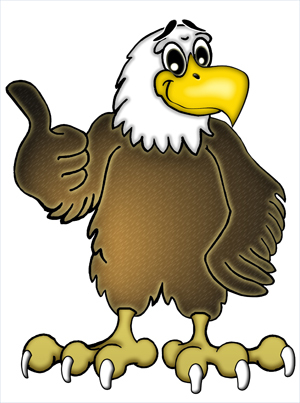 Eagle Logo for Radio Station - The Eagle 96.7 of Newberry and also Gaylord. Click title to visit their website. Logo created as a mascot. Station has Eddie on vehicles, t shirts, print media, signs, and more. He has become a trusted friend in the State of Michigan! 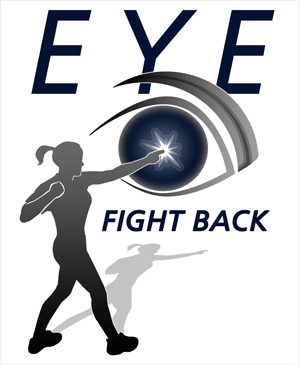 "Eye Fight Back" Logo Design for Self Defense Program based in Michigan. Logo idea was that of Monte Oswalds - lady attacking eye, and it was my job to make that work! This Self Defense Program is so unique and intense, that it is patented. Monte also sells the video online. Visit his site by clicking on title above. "MJS Voice Talent" Logo Design - please visit website by clicking on title. This logo design was created for the Voice Talent Specialist Matt Surrell. His website features audio samples and video samples - explore what Matt can do for your company! 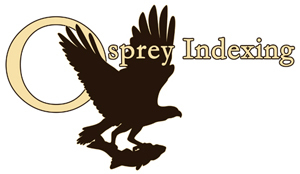 Osprey Indexing Logo for Company In Derbyshire England - Request came from lady in England with a new business that creates the indexes for publishers with a special expertise in books on Natural History. She wanted the logo to coordinate with the name and have a natural feel. Quote - "This is the one! It's absolutely perfect and better than I ever imagined it could be! I am so excited. I also like the idea of the simplified version for small items. Thanks, Caroline"
"Vintage Guitar Man" Logo Design - click title to visit site. This logo was created for Chip B. We gave it a fretboard look that focused on his site. Chip sells vintage guitars, vintage parts, brokers, and more - all over the world. 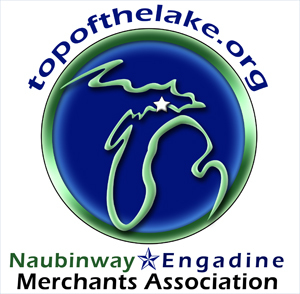 Engadine Naubinway Merchants Association Logo also known as Top of the Lake - click title to visit website. This project focused on locations with the colors based on water and land. Foresight Land Surveying Logo Design - click title to visit website. This design was created for Foresight with focus on equipment, vision, and expertise. Onezee Character Existing Logo Revamp Design for company in New Jersey - REALLY fun to project. Took existing square of wording / logo and added features to bring it to life!